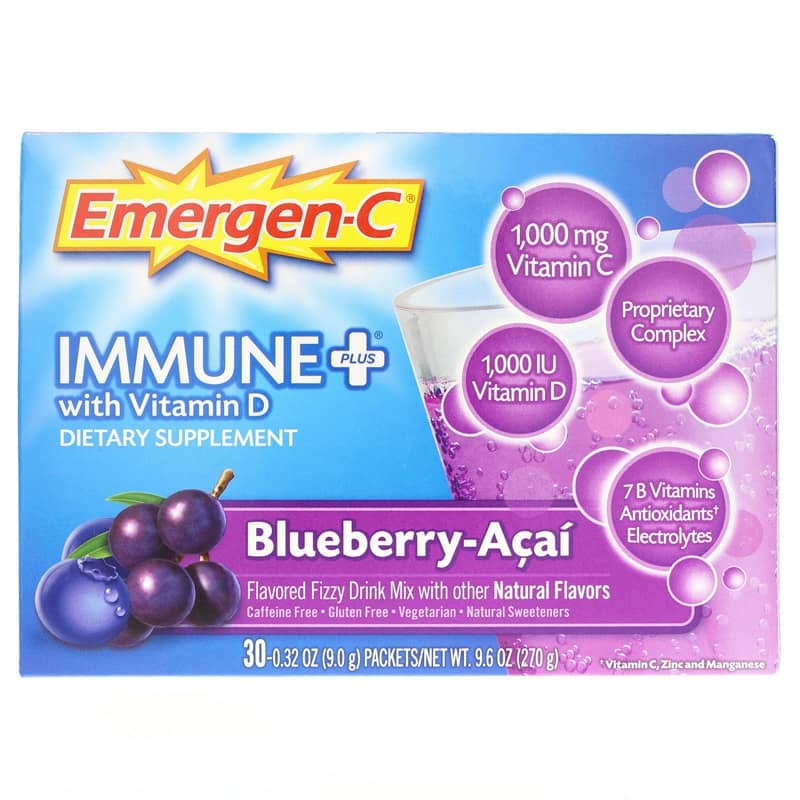 Blueberry Acai Emergen-C Immune Plus with Vitamin D is a bold-juicy, mouthwatering delight that provides the vitamins, minerals, and nutrients your body needs to keep your immune system at optimal health and function. Caffeine-free. Gluten-free. Vegetarian. Natural Sweeteners. 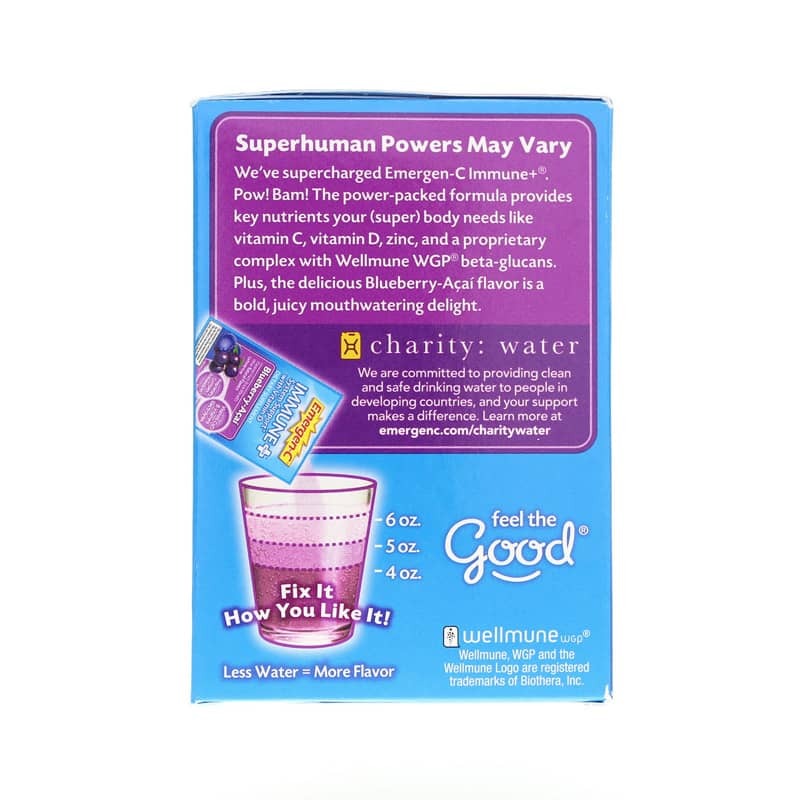 Other Ingredients: fructose, citric acid, dried cane syrup, maltodextrin, blueberry powder (color and flavor). 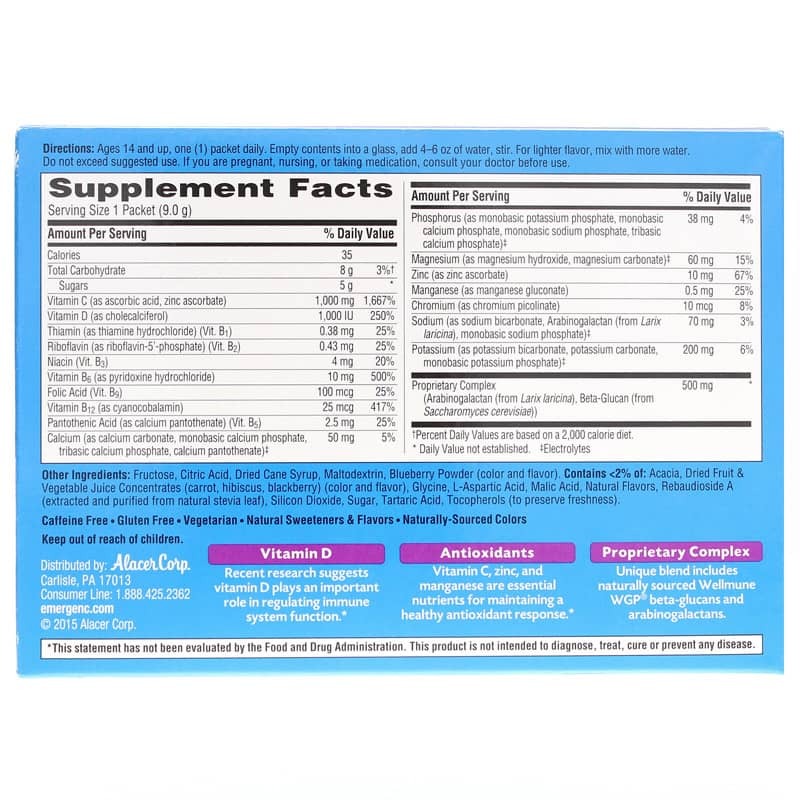 Contains <2% of: acacia, dried fruit and vegetable juice concentrates (carrot, hibiscus, blackberry) (color and flavor), glycine, L-aspartic acid, malic acid, natural flavors, Rebaudioside A (extracted and purified natural stevia leaf), silicon dioxide, sugar, tartaric acid, tocopherols (to preserve freshness). Contains NO: gluten, caffeine. Vegetarian. Ages 14 and up: One packet daily. Empty contents in a glass, add 4 to 6 ounces of water, stir. For lighter flavor, mix with more water. Do not exceed suggested use. This helps me take prescription drug medicine and not get sick.